The murder trial of Trayvon Martin has been circulating through the media for the past few days, having a lot of people discuss the controversy of this trial. Why is the decision taking so long? How long is Zimmerman going to potentially going to be charged with? IS ZIMMERMAN INNOCENT? Viewers are really loosing hope on the trial, and to be honest, I might be too. The courts are playing racquetball with this case, going back and forth on irrelevant issues. When will justice be served? May we shed a different light on this case? What will happened if George Zimmerman is innocent and is free from his charges? Would his life actually become normal and free of harm? 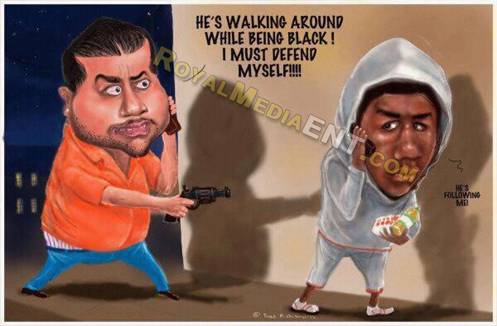 Think about it this way: there is too much build up and animosity for George Zimmerman to be a free man. From the book recently published by his father about African-Americans be racist, to the portrayal of Zimmerman being a floosebag, he wont be able to live a normal life. The idea of rioting and protesting are already in the talks if this case doesn’t go as planned. Officials SHOULD be afraid, if anything, about the reactions of this trial from viewers of daily citizens. This is questioning the safety of everyone else in America and whether or not the criminal justice system can stand by other people and/or their family if this was the case of anyone else. 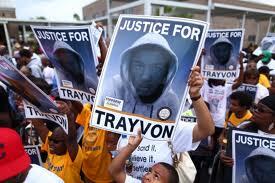 Murder is murder, and whether it was self-defense or not, Trayvon Martin lost his life. They say history repeats itself, right? Remember what happened in L.A when Rodney King was beaten by the cops. Something similar to a neighborhood watch patroller carrying a gun and killing a boy with a hoodie. George Zimmerman, you are better off in jail. These streets aren’t safe for you.